According to this source, Vincent J. DiPalermo was born on November 11, 1925 and his family was living at 190 Washington Avenue Hackensack at the time. 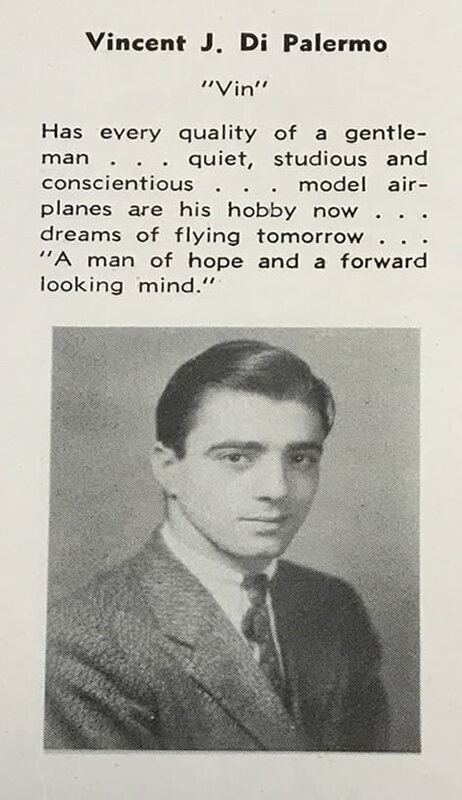 Vincent J. DiPalermo’s date of birth would explain why his name was listed on the Original Veterans Wall Unit at Hackensack High School during World War II because he would have been of draft age at 18 in 1943. Korean War Plaque at City Hall in Hackensack. Let us never forget the Airman’s sacrifice.